The Vail Public Library welcomes back Hiroya Tsukamoto on Wed. Nov. 2 at 5:30 p.m. as he takes us on an innovative, impressionistic journey filled with earthy, organic soundscapes that impart a mood of peace and tranquility. Hiroya is a one of a kind composer, guitarist and singer-songwriter from Kyoto, Japan. He began playing the five-string banjo when he was thirteen, and took up the guitar shortly after. In 2000, Hiroya received a scholarship to Berklee College of Music and came to the U.S. Since then, he has been performing internationally, including several appearances with his group at Blue Note in New York, and released six albums as a leader. 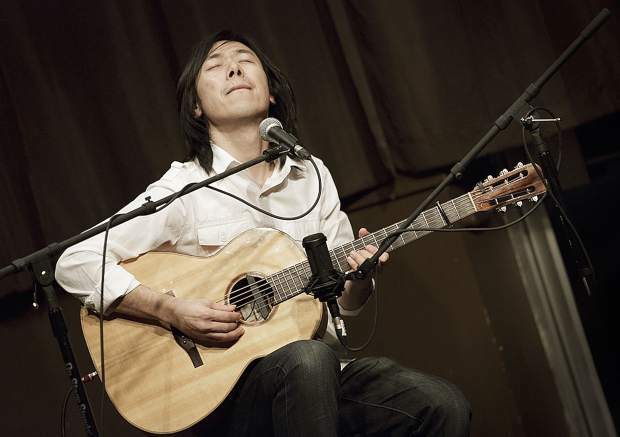 Hiroya has developed unique acoustic music which is sometimes described as "Cinematic acoustic music."